I've used powder concealers, liquid concealers, and cream concealers. Of all the different formulations, one of my favorite is cream concealers. The most versatile come in sets with two colors, so it can be mixed for a custom match. This is perfect, as you can use the same handy concealer for both under-eye circles and blemishes. Mineral Fusion makes a cream concealer duo that is also vegan. This cream concealer has a thinner texture than some I've used; it almost melts to liquid upon contact with warm fingers. It goes on light, so I recommend applying over primer and/or cream or liquid foundation for more staying power. I was sent the neutral color for review, though I suspect the cool shade would be slightly better suited to my skin tone. Regardless, I was still able to mix a decent shade. I was really glad to see that this rated a low 2 on the EWG Skin Deep scale. Most ingredients are very gentle. 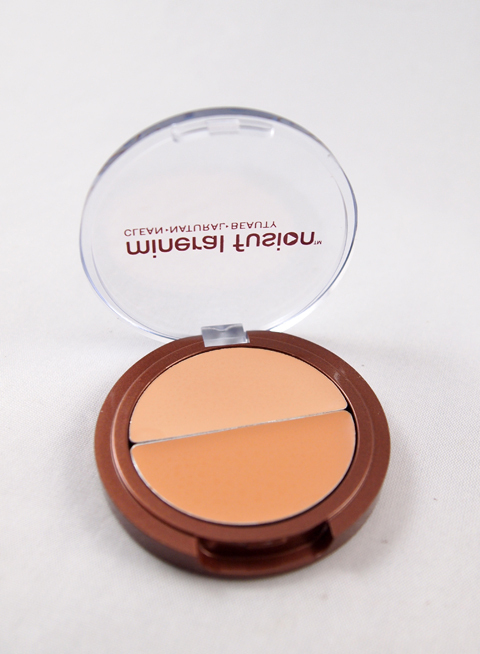 If you're looking for a vegan and gluten-free concealer duo, this is a great option.